Vip Homes Presale. To be built. 4 bedroom 3.5 bath. Office and game room. 2 car and 22ft.x 50ft. RV garage. Bedroom 2 and 3 have separate vanities. Bedroom 4 is huge with it’s own bath could be 2nd master. Maple 42” cabinets. Stainless Steel appliances. Granite kitchen counter tops. Butlers pantry and huge walk in pantry. large breakfast nook. Kitchen open to great room with 14ft. ceiling. Formal dining room.Large master bedroom. Master bath has separate tub and shower with split vanities. RVs can be parked on these large 3/4 acre Plus lots. 2×6 construction. Energy star level 3. Photos are of the model home. Directions: From Glendale Ave. So. on 137 ave E on Ocotillo. 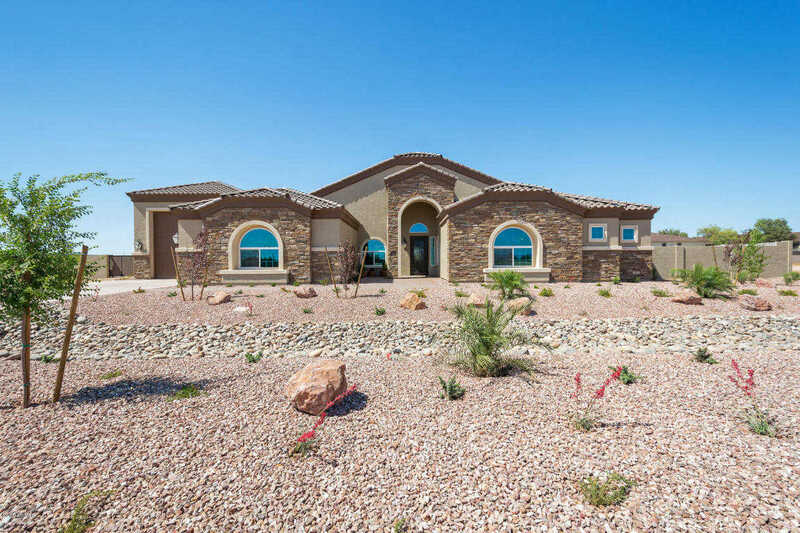 Please, send me more information on this property: MLS# 5768410 – $583,900 – 13526 W Ocotillo Road, Glendale, AZ 85307. I would like to schedule a showing appointment for this property: MLS# 5768410 – $583,900 – 13526 W Ocotillo Road, Glendale, AZ 85307.